Picture this. You spent the day working hard and you are exhausted. But now you are standing on the shore of Wickham Lake in a light rain, listening to a Common Loon perform its eerie call. Swallows buzz over the surface of the lake; you scan persistently and eventually identify 4 of the 5 expected species of swallow: Barn, Tree, Northern Rough-winged, and a beautiful single CLIFF SWALLOW. 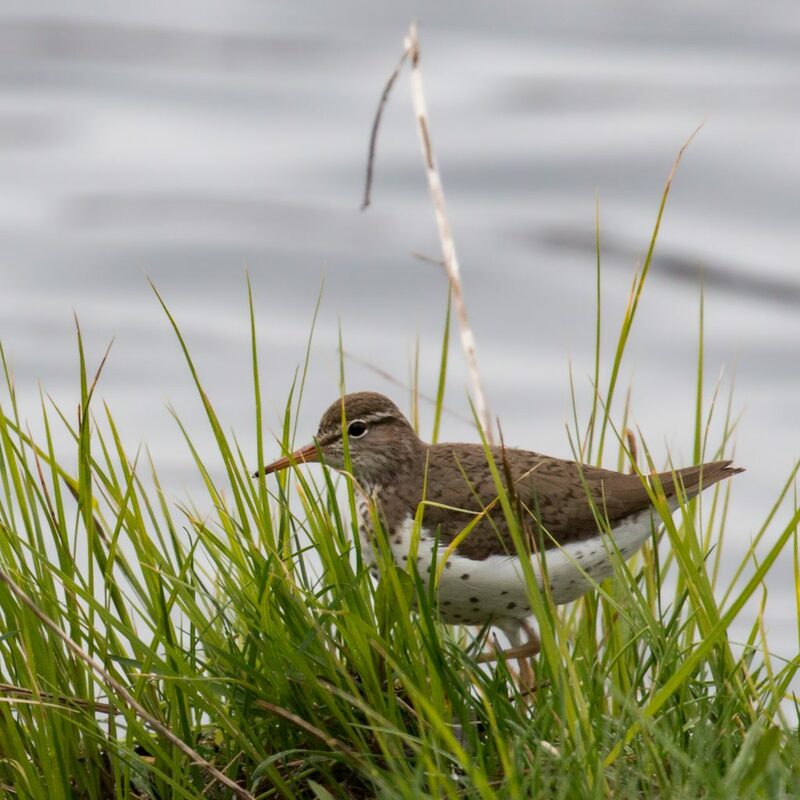 Your first Solitary Sandpiper of the year works the shore just to your left; a Yellow Warbler and an American Redstart (another FOY) call from the patch of woods near the parking area. And, just like that, your Monday evening has clearly surpassed expectations. Sounds like a very nice evening indeed. Just returned from FL & your report makes me anxious to get back out into the county once again. 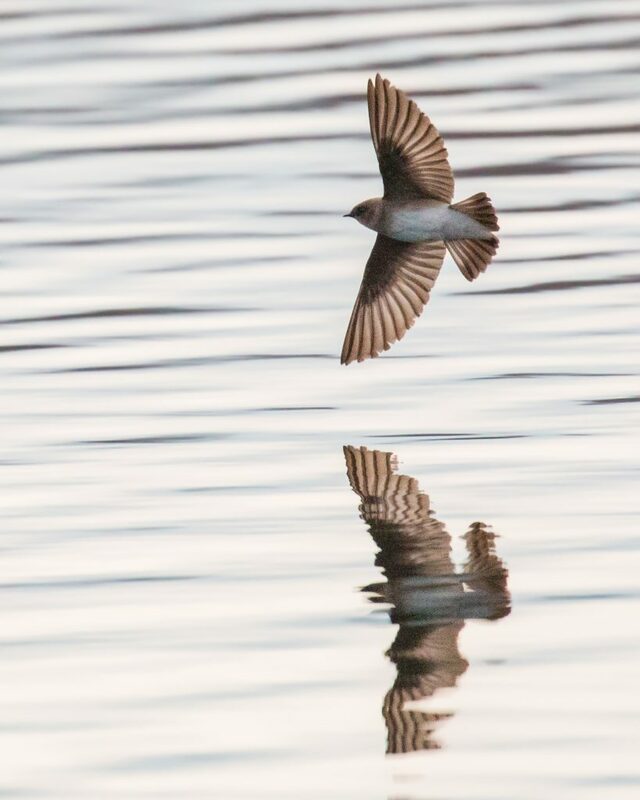 Beautiful photography of that rough-winged swallow and its reflection in the waters. Sounds like a perfect evening, Matt. Both of you photos are stunning!